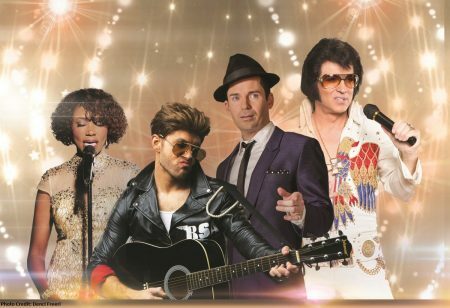 The legendary cast of Legends in Concert, the longest-running show in Las Vegas at Flamingo Las Vegas, will greet the season with the debut of its holiday show on Monday, Nov. 20. Just as the Radio City Rockettes have become synonymous with the holiday season in New York City, the annual holiday show at Legends in Concert has become part of the famous festivities in Las Vegas for both tourists and locals. This very special holiday production at Legends in Concert begins November 20 and continues through December 30.